Platypus cylindrus, copyright Udo Schmidt. 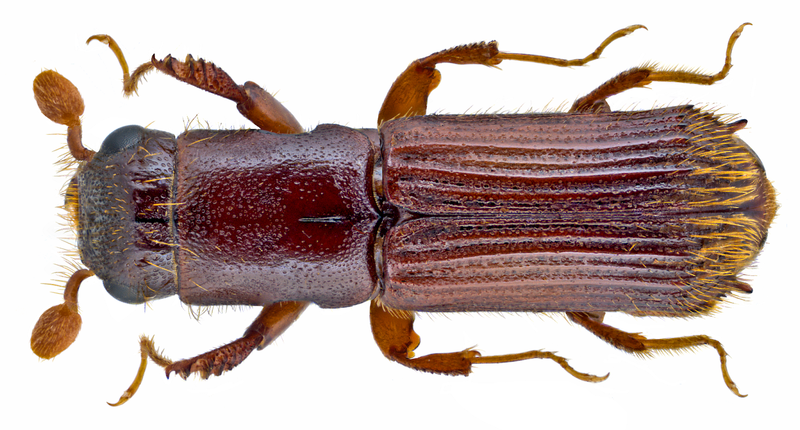 The Platypodinae, ambrosia beetles, are a family of beetles in which the majority of species feed on fungi growing in the tunnels they bore in dead wood. The Australian species Austroplatypus incompertus is eusocial, forming multi-generational colonies with a single breeding female tended by non-breeding workers (Bouchard 2014).